Family medicine and pediatrics include the care of infants, children and adolescents. 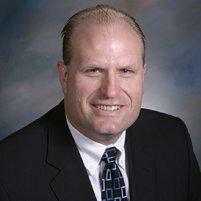 Dr. Lawrence Kacmar, MD, offers pediatric services at Center of Primary Care and Sports Medicine in Aurora, Illinois. Pediatrics is a designated medical specialty devoted to the care of infants, children, and adolescents. Family physicians also provide pediatric care, but they treat adults as well, while pediatricians focus exclusively on younger patients. Children have many growth and developmental needs, and regular care offers a chance for the physician to provide education to parents and assure there are no problems. Most pediatricians are generalists, but they may also specialize in areas like pediatric heart disease or infectious disease, or a specific population like newborns (neonatology). Pediatricians provide care for infection, disease, and injuries, and try to identify potential problems early. For example, a pediatrician might treat a child with strep throat, set a simple fracture of the wrist or stitch a laceration. They might remove warts, manage the care of a child with a chronic disease or make a referral to a specialist. In adolescents, they might treat sports injuries, help manage menstrual problems in teenage girls or provide education about sexually-transmitted diseases. Others might work with very ill newborns who need intensive hospital care. Well-child care is a major aspect of pediatrics. For example, pediatricians monitor growth patterns to identify trends that might show a potential problem. They provide immunizations, perform vision and hearing tests, and educate parents about normal growth and development, child care or safety. Preventive care helps ensure that children's developmental needs are met and helps parents and child prepare for the next stage of development through regular education. Do Children Have Special Health Needs? Children may have very complex health care needs, some of which begin at birth, such as cerebral palsy or development delays. Others, like autism and attention deficit hyperactivity disorder (ADHD), may become apparent as the child grows older. Vision problems, hearing difficulties and learning disorders may also prevent challenges for the child and parent. Other children may develop a serious problem like juvenile diabetes or cancer.